Power2 is a one stop Accounting, Financial Planning and Tax Advisory firm. We are locally owned and operated and our experienced team members have grown up in and around the Mackay area. Because we are invested in the Mackay region we are here for the long haul. We are here to support you both when times are good and times are tough. We offer a holistic approach to your finances. From personal tax returns to business accounting, self-managed superannuation funds, rental property, insurance, estate planning, wealth accumulation and much, much more. 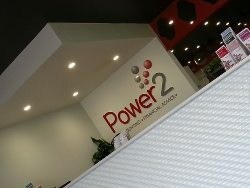 Power2 started back in 2006 and has grown substantially since then, expanding quickly from Tax Power, a small Mackay Income Tax office, to the large, dynamic and trusted Accounting and Financial Planning practice it is today. Our clients are working families just like yours and our own. They include local tradies and small business owners, retirees and working individuals, all looking for good honest advice. Power2 has its own Australian Financial Services Licence (AFSL) so we’re under no pressure from big banks or large companies to sell you anything or provide any financial advice that doesn’t put your best interest and long-term financial wellbeing first. Well basically it means our whole focus can be on you and your financial goals. If we think something is a good idea, we recommend it. If we think it’s a bad idea or a bad time we tell it like it is. A one stop financial shop…So why is that a good thing? We are the only Mackay firm that really looks after all your financial needs. At Power2 our Financial Planners, Business Advisers and Tax Accountants work together, each looking at your finances from a different perspective. Each consultant has experience in a particular area; tax matters, insurance, superannuation, cash flow, succession and business planning, rental properties, investing and much more. We have consultants who specialise in individual Financial Planning needs and others who focus on Business Accounting and Income Tax. You can tap into any or all of these areas of expertise. It’s up to you. So welcome to Power2 … good financial decisions, everyday!